August activity in the Greater Vancouver housing market finished well above last year’s pace and slightly below the 10-year average for the month. The Real Estate Board of Greater Vancouver (REBGV) reports that residential property sales in Greater Vancouver reached 2,514 on the Multiple Listing Service® (MLS®) in August 2013. This represents a 52.5 per cent increase compared to the 1,649 sales recorded in August 2012, and a 14.7 per cent decline compared to the 2,946 sales in July 2013. Last month’s sales were 4.6 per cent below the 10-year sales average for the month. New listings for detached, attached and apartment properties in Greater Vancouver totalled 4,186 in August. This represents a 3.5 per cent increase compared to the 4,044 new listings reported in August 2012 and a 13.8 per cent decline from the 4,854 new listings in July of this year. The total number of properties currently listed for sale on the MLS® in Greater Vancouver is 16,027, which is an 8.8 per cent decrease compared to August 2012 and a 3.6 per cent decline from July 2013. The sales-to-active-listings ratio currently sits at 15.7 per cent in Greater Vancouver. This ratio remains consistent with balanced market conditions. “People entering the market should not confuse stronger sales activity with rising prices. Home prices have been quite stable and consistent for much of this year,” Wyant said. The MLS® Home Price Index composite benchmark price for all residential properties in Greater Vancouver is currently $601,500. This represents a 1.3 per cent decline compared to August 2012 and an increase of 2.3 per cent since the beginning of 2013. Sales of detached properties reached 1,052 in August 2013, an increase of 69 per cent from the 624 detached sales recorded in August 2012, and a 3.1 per cent increase from the 1,020 units sold in August 2011. The benchmark price for detached properties decreased 2 per cent from August 2012 to $923,700. Sales of apartment properties reached 1,018 in August 2013, an increase of 40.4 per cent compared to the 725 sales in August 2012, and an increase of 6.6 per cent compared to the 955 sales in August 2011. The benchmark price of an apartment property decreased 1.1 per cent from August 2012 to $366,100. Attached property sales in August 2013 totalled 444, an increase of 48 per cent compared to the 300 sales in August 2012, and a 10.2 per cent increase from the 403 attached properties sold in August 2011. The benchmark price of an attached unit decreased 1.1 per cent between August 2012 and 2013 to $457,000. Download the August 2013 statistices here. 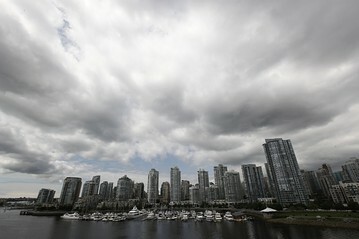 The real estate industry is a key economic driver in British Columbia. In 2012, 25,032 homes changed ownership in the Board’s area generating $1.07 billion in economic spin-off activity and creating an estimated 7,125 jobs. The total dollar value of residential sales transacted throughout the MLS® system in Greater Vancouver totalled $18.6 billion in 2012. The Real Estate Board of Greater Vancouver is an association representing more than 11,000 REALTORS® and their companies. The Board provides a variety of member services, including the Multiple Listing Service®. For more information on real estate, statistics, and buying or selling a home, contact a local REALTOR® or visit www.rebgv.org.